Hello my beautiful! Are you considering taking a women's retreat, but are not sure if you want to plunk down the money to make it happen? I recently got back from my second women's retreat ever, and it left me saying "why did I wait so long?" It was amazing. I want to encourage you to go ahead and go to your upcoming retreat. There are so many reasons - but here are my favorite five. Daily life can leave us frazzled, stuck in old habits, unable to make any changes at all. If you're finding it hard to pursue a new goal, maybe it's time to shake things up a bit! Interrupt the well-worn path and you may find it easier to lay the groundwork for your new healthy habits when you return. Especially if you're a mom, getting a break from life's everyday drama will leave you refreshed! Remember: If you never do anything for yourself, you'll find you'll have nothing left to give. So many of our distractions in daily life keep us from connecting with ourselves and God, and our relationships suffer because of it. Work and life's minutiae really aren't helping us build and maintain the strong foundation we need for true growth. You reap what you sow, so make sure you're planting and watering some seeds that will yield a good crop. Remember sleepovers as a kid? 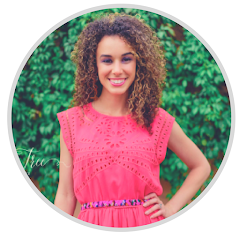 Think of a women's retreat as the sleepover done right! By the time it's through, you've exchanged ideas, secrets, giggles, and come away with a much deeper bond with ladies you've been meaning to get to know. Now that you're away from it all, you'll have time alone with your thoughts and with God. It's a time where you can finally hear what you've been waiting to hear, and it's a time when you can restore your creativity. 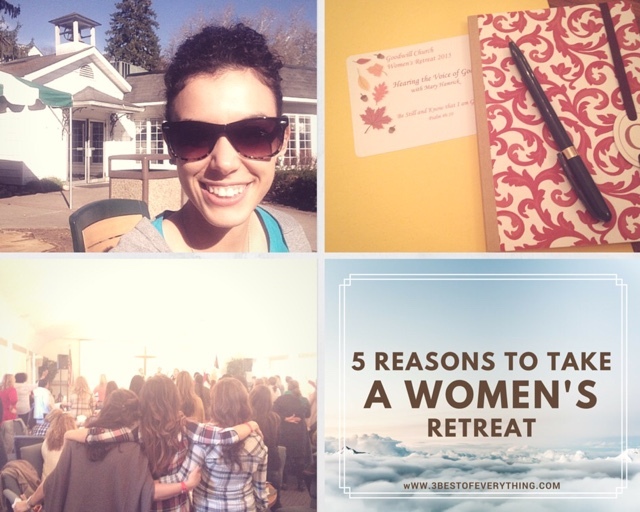 Not all women's retreats are the same, but I think you'll find those 5 reasons will hold true in almost any situation. Now that you have these 5 reasons, I hope you'll go for it. Please leave me a comment and let me know where you went and how it was! I would also love to see your pics!